The OR Chronicles is not a book about dramatic near-death experiences, courageous surgeons and nurses, or medical miracles; nor is it a commentary on the current U.S. medical system. Rather, The OR Chronicles is just that: a chronicle, all true, of the sometimes humorous, sometimes bizarre events witnessed firsthand by author Greg Skibo during his career as a medical materials manager—occurrences that the uninitiated or those outside the medical profession may find shocking. Though some names are omitted to protect the innocent—or otherwise—and some characters represent composites of multiple persons with eerily similar erratic behaviors and personality quirks, Skibo is hilariously scathing in his depictions of former coworkers, supervisors, and colleagues. A funny, often dark, sometimes graphic account of the day-to-day inner workings of surgical institutions, Skibo’s story will be instantly recognizable to those who have worked in surgery services in any capacity, while offering outsiders a unique glimpse into the true goings-on behind the scenes and in the OR itself. As a Registered Nurse, I have had the opportunity to work in many different positions but never in the OR. When I saw the title and the description of the book my curiosity was sparked. The author writes about his seven year career as a purchasing specialist and what really happens within an OR everyday. He does not describe any surgeries but tells us about all of the different personalities that he had to deal with during his career. In reading the book, I found the author to be a little critical toward nurses especially the Recovery Room nurses(gender unknown) and he mentions them often in one chapter when an incident occurred in the kitchen area. I found the information about the inner workings of the OR interesting and the glossary of terms and phrases was very funny. The author did a good job on his debut book and I never realized everything that occurs behind the scenes in the OR. Disclaimer: I received a complimentary copy of as a member of the Dorrance Publishing Review Team. 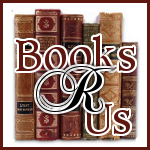 Visit dorrancebookstore.com to learn how you can become a member of the Book Review Team.